SYRACUSE, NY – The International SuperModified Association gathered at the Embassy Suites by Hilton in Syracuse, NY on Saturday, November 3 to honor their 2018 champions and top point getters and to recognize the members with their traditional awards as per member vote. New Englander and part-time ISMA announcer John Spence, was the emcee for the evening. The 2018 Car Owner and Driver awards went to Doug and Kyle Edwards who were presented trophies and a jacket in addition to their point fund checks. The Edwards team waged a close battle with the Tony and Dan Bowes team throughout the season. The top 15 car owners in order were Doug Edwards, Tony Bowes, Craig Reed, Howie Lane, Mark Sammut, Clyde Booth, Dan Soule, Mike McVetta, Steve Stout, Michael Muldoon, Vic Miller, Brad Lichty, P&L Motorsports (Pam & Lee Vinal), Rich Reid and Dave Duggan. 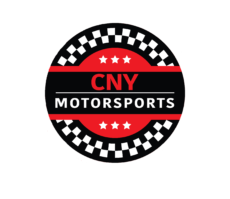 Driver points go to the driver, who may drive different cars during the season, and that top 15 in order were Kyle Edwards, Dan Bowes, Mike Lichty, Mark Sammut, Mike Ordway Jr., Ben Seitz, Mike McVetta, Trent Stephens, Mike Muldoon, Timmy Jedrzejek, Jon McKennedy, Chris Perley, Rich Reid, Moe Lilje, and Dave Duggan. The Shea Concrete Randy Witkum Memorial Rookie of the Year award was presented to young driver phenom Tyler Thompson who raced in at least three divisions – winged supermodifieds, non-winged supermodifieds and dirt cars over the course of the season. Thompson, who just recently turned 17, also was named the Oswego Speedway Rookie of the Year for 2018, a unique honor to say the least. To top off his achievements Tyler took home $100 for winning the Kart Challenge held Friday night at Destiny USA. Over 50 participants competed and the action was enjoyed by many. After introducing top top 15 owners and drivers and presenting them their point fund checks, the program turned to the individual awards. The Seymour Racing Performance gift certificate for $500 off a helmet went to Kyle Edwards determined by a draw of names of those attending. The BS&B Radiator drawing went to Dan Soule and the New England Motor Racing Supply Nose Wing Kit went to Mark Sammut. Tony Bowes, owner of the Bowes 25 race team, was honored with the Northeast Metals Technologies 2018 Mechanic of the Year Award and a jacket and check for $525. Tony was also honored with the coveted Jim Soule Dedication award during the ceremonies. Dan Bowes, second place finisher in points, who missed the title by a mere handful of markers, was recipient of the Slice n Go Deli Up and Coming Driver Award which consisted of a jacket and $200. The Bob Hilbert Crew of the Year Award went to the Mark Sammut 78 team which finished fifth in the final standings. And Sammut’s final honor was the presentation to him of the Jim Shampine Memorial Award. Dennis Heppell, head pit steward, picked up another Jack Murphy Memorial Recognition Award for his hard work. And finally, the ISMA Woman of the Year went once again to ISMA Treasure Kathy Harrington who carries out a multitude of responsibilities in the on and off ISMA season. Harrington indicated at the end of the ceremonies that she was resigning her ISMA duties on January 1, 2019, in order to pursue some well-deserved time away from the many race-related activities that she has undertaken over the years. She has served in various positions within the ISMA organization including secretary, membership, banquet chairman head, developer of the Driver Point Fund, 50-50 Coordinator and as a member of the nominations committee. She will be sorely missed by all. A general membership meeting was held as usual prior to the banquet and a tentative 2019 schedule was discussed with many of last year’s venues included in position and others being considered. A full schedule will be released when all is confirmed.